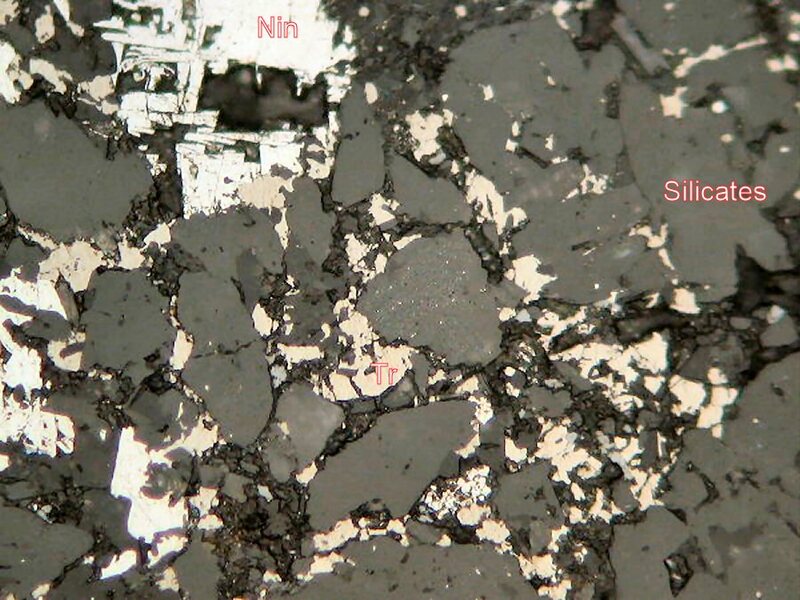 Comments: PPL reflected light polished section showing light gray-brownish grains of troilite (Tr) with white niningerite (Nin) and dark silicates. Location: Indarch meteorite, Shusha, Elizavetpol, Azerbaidshan. Scale: Picture Size 0.28 mm.